Ever since its discovery in 1937, Caracol has drawn thousands of tourists from all over the globe to Belize. This huge Mayan settlement even outdoes the more well-known Tikal, with a more dense arrangement of structures and artifacts for you to see. 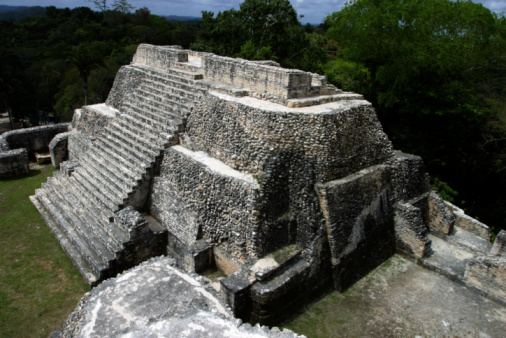 The huge area it comprises is larger than Belize City, and in its heyday, Caracol is believed to have supported an even larger population. There's only one road into Caracol, but it connects to the well-traveled Western Highway. This means that you can easily reach the ruins by car from San Ignacio, Belmopan or Santa Elena. These nearby cities and towns are also jam-packed with tour companies that make it a bit easier to experience everything the ruins have to offer in a more organized fashion. Still, there's nothing wrong with packing a backpack and hiking through the area on your own, as many people are prone to do. Caracol covers about 200 square kilometers, so it's impossible to see everything in a single day. Archeologists are still mapping out and uncovering new areas and altars as well. Take your time visiting all the different sites. Like most other Mayan ruins, Caracol incorporates multiple structures that originally date back to different time periods. Similarly to how the pyramid complexes of ancient Egypt were developed by successive generations of rulers, many of the buildings that survive to this day are royal tombs that incorporate hieroglyphic inscriptions and personal monuments. In total, there are about 53 monuments made of carved stone and over 250 separate burial sites. Caracol is also home to numerous ball courts adorned with sculptures depicting jaguar imagery, rabbit heads and the Mayan Sun God. Unlike many excavated ruins where the majority of the visible structures are pyramids and large royal burial sites, Caracol is large and well-explored enough that you can still see examples of residential areas, agricultural areas and gathering places, although the buildings that were once there haven't always survived. Amazingly, some of the reservoirs at the Ceiba site still function, and the entire area is dotted with sacrificial remains and buried pottery fragments. When you visit Belize, make sure you don't miss Caracol. This Mayan complex is the largest of its kind, constantly stunning visitors with examples of widespread city engineering and monumental construction. In addition, it also plays host to numerous auxiliary structures and buildings that some other archaeological sites lack. Getting to the region is easy if you follow the Western Highway, and there are multiple tour options. You can also visit Caracol on your own schedule by renting a car and hiking around on foot. This ancient ruined city was once larger than Belize's largest urban center, Belize City, so there's no shortage of things to explore.